9th August 1915, aged 25. Son of George and Priscilla Smith, of 28, Pheasantford St., Burnley; husband of Agnes Baldwin (formerly Smith), of 4, Sydney St., Burnley. Drowned at sea on the Royal Edward, 13th August 1915, aged 33. Panel 125-134 or 223-226 228-229 & 328. He left behind his Wife Mrs. Sarah Ellen Spearink and their six children who lived in Streatham, South London. Picture courtesy of Fred's Grandson Brian Webb. 13th December 1915, aged 23.
of Graham Place, Stromness, Orkney. M.A. (Edinburgh). 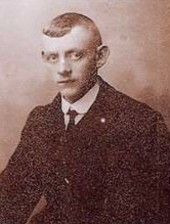 David Stuart Spence was born on the 18th November 1892 in Stromness, the third son of William Spence, a baker born in Victoria, Australia, and Susanna Spence (née Smith), born in Stromness where she and William married in 1888. Stuart went to school in the town and then became a student at Edinburgh University. He had just graduated M.A. from the university, when successfully applied for a commission in the Special Reserve of Officers in March 1915. Stuart had served in Edinburgh University O.T.C. as a gunner and attended 88 drills there, so was commissioned as a Second Lieutenant in his preferred branch, the Royal Field Artillery. 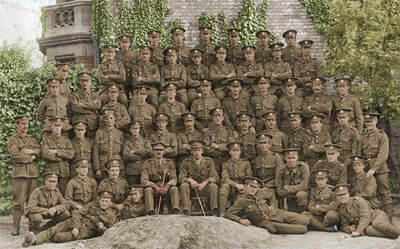 Stuart joined the 2/1st East Lancs Brigade RFA in the south of England. After a few months training, Stuart was posted to join the Mediterranean Expeditionary Force and travelled out to Gallipoli. 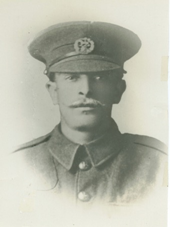 Stuart landed at Cape Helles on the 20th September and joined the 1/1st East Lancs Brigade RFA. 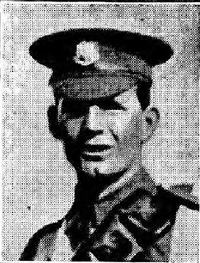 However, two days later he was transferred to join 66th Brigade RFA, one of several, of the always too few, British field artillery brigades that served away from their parent division at Gallipoli. The 66th Brigade remained at Helles, while its division, the New Army 13th, moved to Anzac and then to Suvla (it eventually returned to Helles after Stuart’s death). The Gallipoli campaign had settled down to trench warfare when Stuart Spence arrived there, but the artillery was kept busy supporting minor British attacks and stopping those of the Turks, also in the continuous counter-battery fire. The French had started to withdraw their Senegalese infantry on 12th December, but Stuart's battery, "A" of the 66th Brigade, was probably firing in support of the French when he was killed in action on the next day. A letter sent to his father in March 1916 stated that Second Lieutenant D.S. Spence, Royal Field Artillery, was buried at Zimmerman Farm Cemetery (French) and that the Rev. J. Duncan officiated. 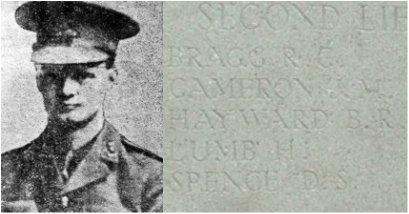 However, that grave was not identified when the Imperial War Graves Commission consolidated the Gallipoli cemeteries after the Armistice, so David Stuart Spence is commemorated on Panel 21 of the impressive Helles Memorial. 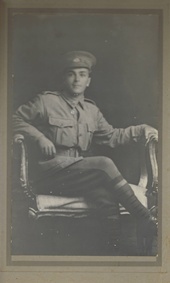 Stuart was 23 years old, when he died on 13th December 1915 on Gallipoli. Son of Mrs. Lily Starkey, of 30, Carey St., Greenheys, Manchester. Picture courtesy of Nick Starkey. 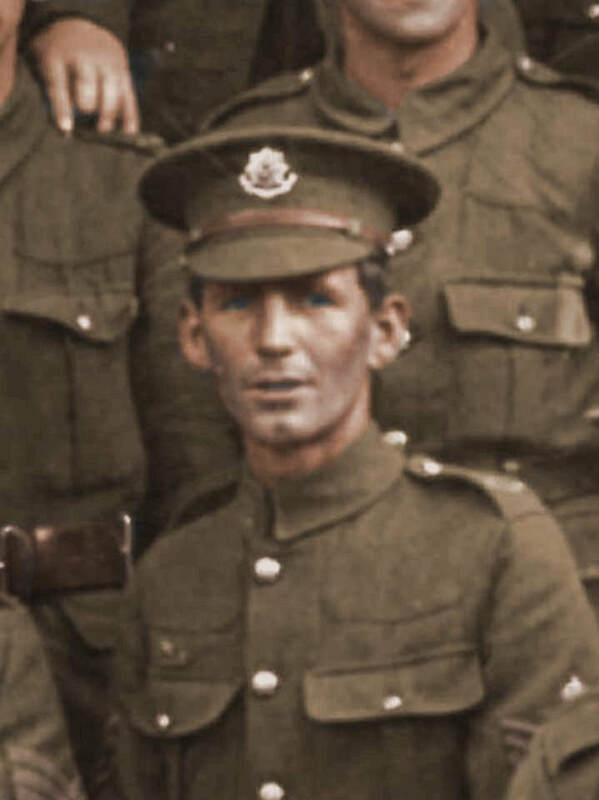 22nd August 1915, aged 26. Son of John and Margaret Croom Tennant, of 19, The Boltons, South Kensington, London. Captain Tennant was born March 27, 1889, South Kensington, London, son of John Tennant Esq. & Margaret Croom. He was educated at Harrow School and London University where he received at Bsc. in Mechanical and Civil Engineering in 1911. Following his graduation he was employed by the Egyptian Government Irrigation Service at Tatah in the delta and later Luxor in upper Egypt. With the outbreak of war he returned to England and was given a Commission in the Bedfordshire Regiment and was gazetted Captain in February 1915. In June 1915 Captain Tennant was attached to the 1st Border Regiment and was sent with a draft of 80 men to Gallipoli. He participated in the heavy fighting at Gully Ravine on June 28, 1915. 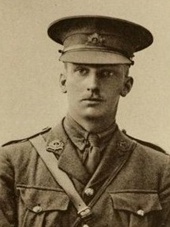 Captain Tennant was fatally wounded about 5 pm on 21 August leading Coy. A, 1st Borders, during the final futile assault on Scimitar Hill at Suvla Bay. 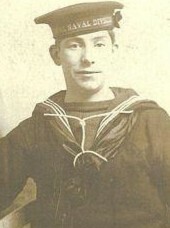 He was evacuated to the hospital ship HMHS Rewa offshore and died of his wounds the next day. Captain Tenant was buried at sea shortly thereafter. 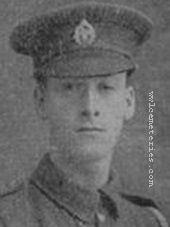 His brother William was killed in action the preceding May at the battle of Festubert and the family's third son Hugh Vincent died in Spain in 1927 from the effects of gas shell poisoning received in the Great War. 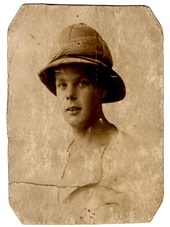 Son of the late Daniel and Margaret Thornton; husband of the late Mary Agnes Thornton (formerly Munford). He lived at 3 Bush Street, Burnley and left a wife Mary Agnes, and two young daughters Gladys & Marjorie. The death of a Burnley soldier's window under particularly painful circumstances has revealed one of the saddest tragedies of the war locally. 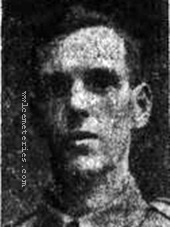 When the war broke out Pte Thomas Thornton of 3 Bush Street Burnley was sent away on service with the 5th East Lancashire Territorial's, and about the end of June this year his wife received information that he had fallen in action. Since then she had nor worked and had been very low spirited, receiving medical attention at intervals. She tried to work, but after two days of it she had to give up, and latterly she had been troubled with delusions about her husband. Frequently she had stated that she could she her husband in different rooms and that she could here someone knocking at the door repeatedly. She had also stated in a roundabout way that she could not live. About five o'clock on Wednesday the poor woman went to her sisters-in-law at 49 Tunstill street and complained of being very much upset. She left at six to home to provide tea for her two children. About seven o'clock she visited a chemist, and, stating that it was for getting iron mould out of clothes, obtained four ounces of salts of lemon. Apparently she then went home and took part of the poison, for at 8.20 she went again to her sister-in-law, who noticed her appearance , asked her what was to do. She then replied "I have taken salts of lemon". An emetic was administred and the police and a doctor sent for. The doctor did not go to the house but ordered the woman's removal to the Hospital. She died before the arrival of the ambulance however and the body was taken home. An inquest on Mrs Thornton was held by the Borough Coroner (Mr A F Sutcliffe) at the Cleaver Street Police Station yesterday. At the outset the coroner outlined the case to the jury and observed that the circumstances were very sad. He thought the jury after hearing the evidence could come to no other conclusion than that the unfortunate woman had committed suicide, the purchase of the salts of lemon and the evidence of the cup containing sediment pointed to that and it was only for them to say whether they of the opinion that she was of unsound mind or not. Dora Thornton 49 Tunstill street, sister-in-law of the dead woman, Mary Agnes Thornton, said the deceased worked regularly as a winder up to receiving news of her husband's death. After receiving the intimation, however she was very much upset and could not work, and she told the witness that she felt like drowning herself as she could not see her way to go on. Witness did her best to cheer her up, but she seemed to have delusions that her husband was in the home, and in each room she went into. \She appeared to be very depressed on Wednesday when she left her house. The coroner: "Did the deceased say anything as to why she had done it?" No She simply said she had taken a quarter of salts of lemon, but that was after the emetic had been given. A juror: "Had anybody been staying her at nights since she had delusions?" A friend stayed from Friday to Monday last week-end. PC Hird deposed to removing the body from 44 Tunstill street to the deceased's own home adding that he was called to the house about ten o'clock but the woman as dead when he arrived. He searched the house and he found a pot (produced) and a label (also produced) the former being in the kitchen and the latter in the firegrate. The pot had apparently contained salts of lemon. A juror: "Is this a registered poison?" I don't know. the juror: "salts of lemon is one of the poisons it is easiest to obtain. A woman has only to go to a shop and say it is for clothes to get it" The coroner: "I take it the label is all the safety required. It distinctly states Salts of lemon - poisonous - not to be taken" I don't know if there is any restriction in regard to quantity but if people want four ounces they can get an ounce at four different shops. The jury thought it unnecessary to call the shop assistant who supplied the salts of lemon to the deceased; and summing up the coroner said the deceased had apparently become so depressed that she could not face things, and that had induced her to take the step she had done. The jury returned a verdict to the effect that the deceased committed suicide while temporally insane. 24th December 1915, aged 19. 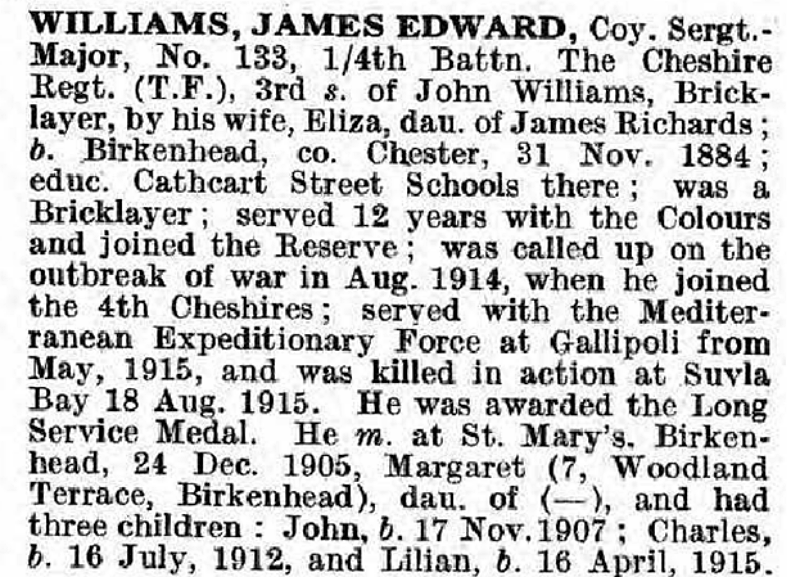 Killed in action 24th December,1915 at Gallipoli. Although killed in the trenches he has no known grave. He was the youngest of four brothers who volunteered for service in the war and the only one of them to be killed. He cheated his age to enlist and was 19 years old when killed. John and his brothers were all born at Ashington, Northumberland, a mining town. The Hawke Battalion was made up almost to a man of north country miners. They were used extensively at Gallipoli for sapping, mining and digging trenches. He is remembered by his nephew John George Walker, aged 89 years who is named after him, and by me his great nephew also named John Walker. "D" Coy. 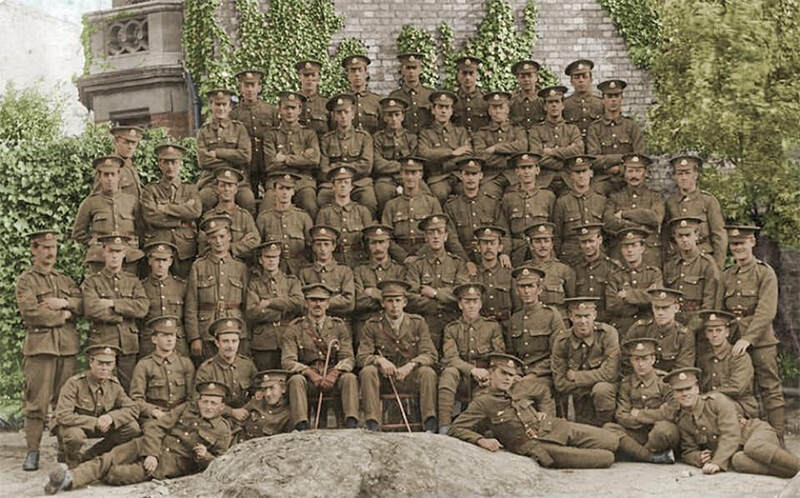 6th Bn. Australian Infantry, A.I.F. 8th May 1915, aged 20. Loved son of Katie Walker and the late Robert Walker,brother of Agnes, William and Alexander. Born 10th July 1894 at Korumburra, Victoria, Australia.Employed by Victorian Railways, Newport. 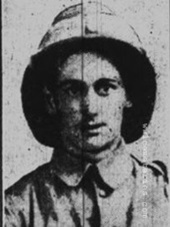 Enlisted on 17th Aug 1914 at Macclesfield, Victoria. Embarked Melbourne on 19 October 1914 for Cairo, Egypt. Contribution and photographs courtesy of Great grand niece Lynette Nickell. 15th August 1915, aged 30. 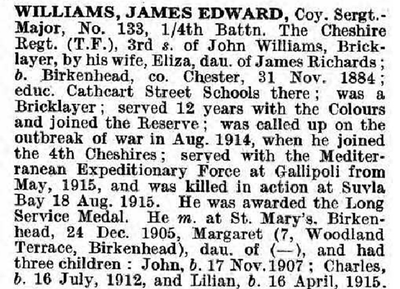 Son of John and Eliza Williams; husband of Margaret Williams, of 7, Woodland Terrace, Birkenhead. 29th December 1915, aged 24. Son of Mrs. Mary Wolstenholme (formerly Wixted), of Lower Hugh Edge Farm, Crawshawbooth, Manchester.